A CCTV system in an office environment can be beneficial on two main counts. It can help to protect the property and also the people in it. First of all, the property itself. A camera installed on an outside wall is the best deterrent to anyone who has thoughts of entering the building for illegal purposes, day or night. 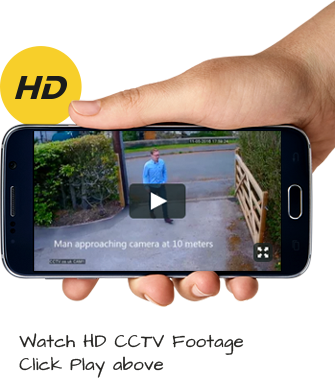 Few criminals are brave enough, or foolish enough, to break into a property when they know their visit will be recorded on camera and therefore identification and apprehension are almost inevitable. Cameras in any parking space belonging to the office is also recommended to keep a watch on people arriving by car, and another important area is reception. All this is for the safety and protection of any visitors, as well as your own staff, and CCTV has further value as far as the latter are concerned. It enables you to keep an eye on the work-force – their time-keeping, efficiency, honesty – and to be aware of any disagreements which may arise, so that they may be quickly nipped in the bud. If there are disputes or breaches of security you will be in a position to find ways of resolving the situation. Used in the right way, and with the consensus of the workers in the office, CCTV can be a way of bringing people together rather than driving them apart. Which is, of course, good for business. Advancing technology has helped in many ways and CCTV systems is one of them. Call us today to get a free quote for CCTV installation in your office building on 0800 211 8310.